Welcome to the Beaver Glen Bed and Breakfast! Your innkeepers are Barbara and John Craig. This property was formerly a rental cabin called Almost Heaven, and once you spend a little time here you will know why. We have converted the cabin to a two guest room Bed and Breakfast. As a smaller B&B we feel we can be more attentive to our guests and cater to their needs and offer high quality amenities. The B&B does not offer sweeping mountain vistas but because of its close proximity to the Blue Ridge Parkway it's easy to get to but still offers a mountain view from the front porch and a forest view from the back. Catch a spectacular sunset from the front porch swing and see the sunrise peeping over the mountains from the back porch rockers. 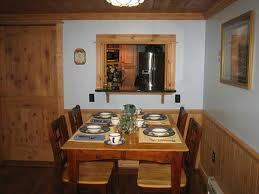 The B&B is located between Mile Post 175 and 174 off the Blue Ridge Parkway. 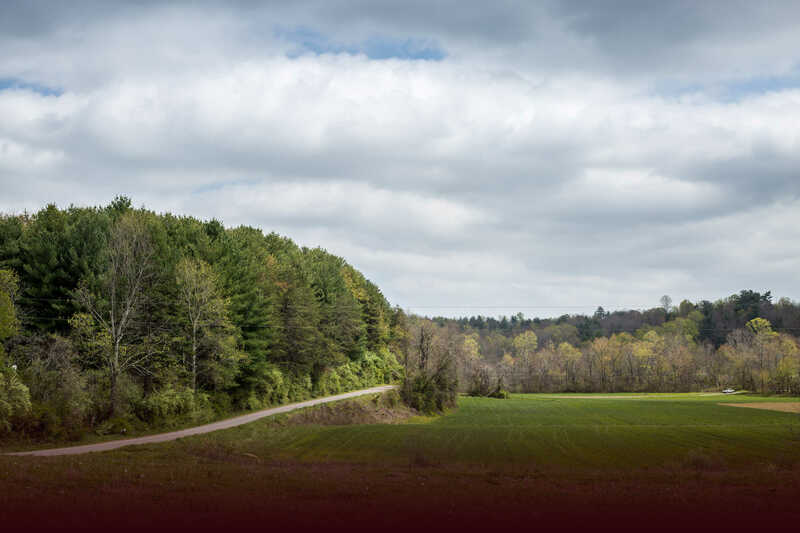 We are a stone's throw from the most photographed spot on the Blue Ridge Parkway, Mabry Mill, and Chateau Morrisette Winery, let's not forget the quaint town of Meadows of Dan where Nancy's Chocolate factory is located. Come on by, we'd love to have you stay with us! This is a large bedroom on the ground floor of the cabin. It is decorated in plum tones. It is directly off the great room where you have access to the gas fireplace and comfy reading nook. The room has a king size sleigh bed, sparkling new private bath, premium channel cable flat screen TV, wireless free internet. Egyptian cotton sheets, Turkish towels and bathrobes. This is an extra large bedroom located on the second floor or the cabin but is enterable from the front porch entryway, so less stairs. This room is appointed in sage colors. It has a private bath with double sink. King size 4 poster bed, premium channel cable flat screen TV, wireless free internet. Egyptian cotton sheets, Turkish towels and robes, corner reading nook. 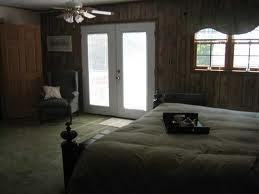 This room boasts a private deck accessible from the French doors directly across from the bed. Deck has Jacuzzi and swing.